Using "quotes" around your search phrase can help narrow the results to exactly what you are interested in. A search for Lazy Deuce without quotes will return all results that contain both "lazy" and "deuce", in any order. A search for "Lazy Deuce" in quotes returns all results with the exact phrase lazy deuce, in that order. Search ALL or search by denomination? If you're looking for only small-sized Gold Certificates, by all means choose "Gold Certificates" from the drop-down list, but make sure that you select it as a subtype of of "Small Size". If you're searching for items that span multiple kinds of notes, choose ALL from the drop-down. The search from our home page covers everything we have to offer, whether in auction or inventory. Try that first. 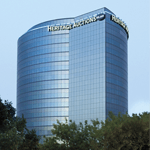 If you aren't interested in auctions, click the BUY NOW tab above to access items only in our multi-million-dollar inventory. To locate items only in our current auctions, click the AUCTIONS tab above. Maybe it's a series (like 1957A), a signer (Barr), a bank (Bank of America), or a city. Perhaps you know the Friedberg number (Fr. 1604), Charter number (Ch. # 8813), or another indexing number (T5) - use that. When you use multiple words, the search engines will try to find items with all of those words in the description. Try using "OR" and "NOT". If you're interested in all notes from Houston and Dallas, you can enter "Houston OR Dallas". This would limit your search to just items with either of those two cities in the description. Or, if you are interested in notes from Washington DC that are not from the Riggs National Bank, you can enter "Washington NOT Riggs". Don't use commas, periods, dashes, etc., unless required. Series should be all one phrase (1957A, 1969B, etc). Grades should written out (Extremely Fine, etc). Grading services should be entered exactly (CGA, PCGS, etc). Enter Friedberg or Charter numbers without a prefix (1604, 8813) or with these exact prefixes: (Fr. 1604), (Ch. # 8813). Make sure you spell your search term correctly. If you're looking for a note from Rensselaer, NY, the search function will not be able to help you if you spell the town "Renselaer".